Cape Town – Public Enterprises Minister Pravin Gordhan on Thursday announced the appointment of several additional directors to the Transnet board. He was speaking at an early morning briefing about changes to state-owned enterprises (SOEs) in his portfolio at Parliament, on his 86th day in office. Gordhan previously announced the appointment of an interim board at Transnet on May 14. Gordhan had followed a process where previous directors could make representations on why they should continue to serve on the board, he explained. Cabinet approved the interim board appointments, which included Popo Molefe as chairperson. 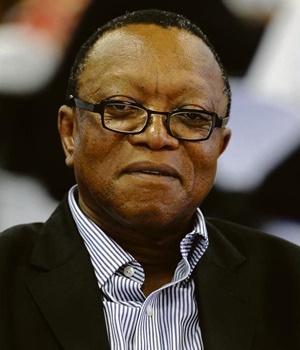 Molefe previously chaired the Passenger Rail Agency of South Africa (Prasa). Molefe also serves as an executive chairperson of Lereko Investment. He is a former non-executive director of Armaments Corporation of South Africa (Armscor), the Central Energy Fund and the Strategic Fuel Fund. He has been the chairperson of Morvest Business Group since July 2004. He served as a non-executive director of the Petroleum, Oil and Gas Corporation of South Africa. Molefe offers his leadership expertise, knowledge of transport and logistics, mineral resources and diverse industries. Transnet CEO Siyabonga Gama previously told Fin24 that Molefe’s experience at other entities would help to restore confidence in Transnet. "We welcome Mr Molefe coming into Transnet. He is a seasoned member of the board and has served on several boards. We will be able to go through many different issues facing Transnet today," Gama said. Gordhan also appointed five interim board members, along with Molefe. This includes Louis von Zeuner, the former deputy group chief executive for ABSA Group Limited,who has skills in investment, financial management, auditing, risk management and leadership. Ramasela Ganda is a chartered accountant, currently the executive head of business services of Barloworld Equipment. She was previously the Chief Financial Officer (CFO) of BroadBand Infraco and offers skills in finance, manufacturing, auditing and risk management. Ursula Fikelepi is an attorney of the high court of South Africa, with a Master of Business Administration (MBA) qualification. She is a consultant at Phukubje Pierce Masithela Attorneys. She was previously the general manager of legal, risk and compliance at SAA and has been a deputy director general at the Department of Public Enterprises. She offers skills in corporate legal and regulatory, mergers and acquisitions. Edward Kieswetter, who retired from his role as group chief executive at Alexander Forbes, is a former deputy commissioner of the South African Revenue Services (SARS). He offers skills and expertise in the public and private sectors, financial business management and leadership. Dimakatso Matshoga, who has an MBA, is currently the managing executive and principal consultant at Atafala Consulting. She offers skills in engineering and project management, strategy, and rail transport. The six additional board members appointed and approved by Cabinet include Mpho Letlape, who has a human resources background. She is a director of companies and executive advisor to Accenture Management Consulting, Tower Recruitment Group, and Sapphire Logistics. She was previously the deputy vice chancellor of the University of Johannesburg (UJ). She offers skills in human resources management and ICT. Aluwani Ramabulana, who obtained a BSc in chemical engineering from Oregon State University in the US and has an MBA, is currently the chief executive and founder of MDZ Fleet Solutions, SA. He was previously the CEO of Daimler Fleet Management SA. He offers engineering, financial management and corporate governance skills. Dr Fholisani Mufamadi is the former minister of provincial and local government. He was also one of the founding members of the Congress of South African Trade Unions (Cosatu) and represented the ANC in the Convention of a Democratic South Africa. He is the director of the school of leadership in the faculty of management at UJ. He offers skills and experience in leadership, transformation, labour, and public policy. Vivien McMenamin is the chief executive officer of Mondi South Africa and holds an MSc in economics from the University of London. She offers skills in economics, transformation, sustainable development, and policy. Gratitude Ramphaka is a chartered accountant who serves as the senior manager finance at Armscor. She also previously served as a senior manager of the Auditor-General of South Africa. She is a member of the SA Council for the Project and Construction Management Profession Finance Committee. She offers skills in auditing, financial management, accounting and risk management. Advocate Oupa Motaung, who is a practicing advocate at the Johannesburg Bar Council, Group One, Sandown Chambers, offers skills in legal, construction law, banking and financial markets. Former Transnet board members who resigned in recent months include former chairperson Linda Mabaso, former CFO Garry Pita and non-executive directors Vusi Nkonyane and Yasmin Forbes. Gordhan also removed Seth Radebe, Potso Mathekga and Zainul Nagdee recently.